In addition to its reputation as a transportation hub for the Mid-South region, Memphis has long been recognized for its healthcare facilities. The new hospital that first opened its doors to patients in 1974 helped to further enhance the Bluff City’s reputation for exceptional medical treatment. Prior to that historic event, full-service hospitals had been located in downtown Memphis. The inspiration for an east Memphis location grew from the conviction that, as the city expanded eastward, medical services should follow to be close to the population to be served. Sister Rita Schroeder, an avid supporter of the proposed new suburban hospital, led the movement in 1969 to raise the needed $18 million for construction of the new facility. Her indomitable conviction, along with a sound business plan, persuaded members of the Memphis business community to support her effort. Sister Rita assumed the role of administrator when the new hospital, known today as Saint Francis Hospital-Memphis, opened in December 1974. Since that opening, the hospital’s leadership team has never lost sight of the vision of its founders – to be a provider of quality patient-centered healthcare to every patient, every time. Saint Francis Hospital-Memphis is operated today by Tenet Health System, and continues its innovations in medical services and expanding its involvement in the Memphis community. 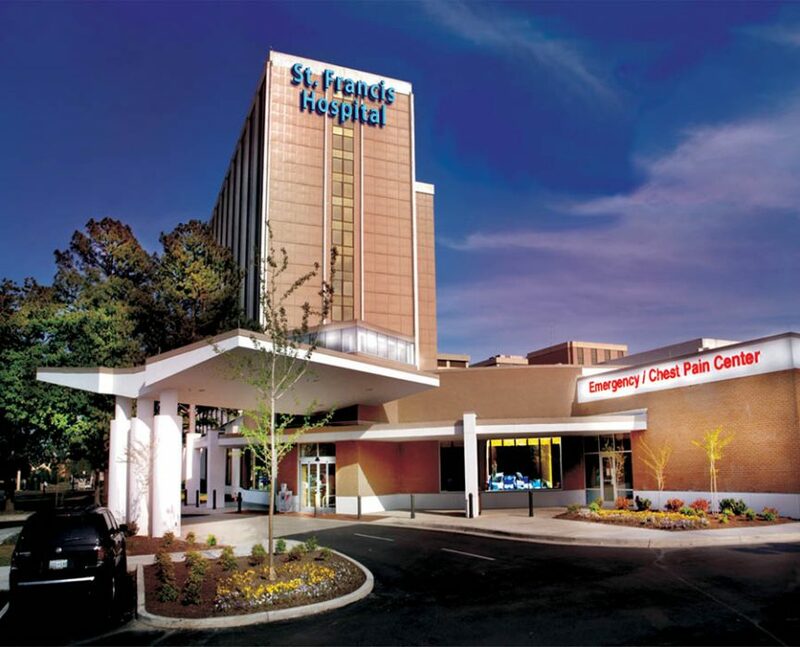 Saint Francis Hospital-Memphis is the first healthcare facility in the Mid-South to provide patients with MRI/Fusion Biopsy and Blue Light Cytoscopy, the newest technology for the diagnosis and treatment of prostate and bladder cancer. That excellence of care and personal service have led to recognition by the American Heart Association, the Society of Chest Pain Centers, Aetna Healthcare, Blue Cross Blue Shield, Commission on Accreditation of Rehabilitation Facilities (CARF), and numerous others. Saint Francis Hospital-Memphis will continue to rely on high quality technology; skilled and dedicated employees; respected, patient-focused physicians; and a firm commitment to continuous quality improvement and excellence in customer service to meet the present and future healthcare needs of Memphis and the Mid-South.